Never get stuck struggling to read a menu, your phone, or tablet again with the slimlens Pince-Nez Style +1.5 DC Reading Glasses. Modeled in the prince-nez style, they simply pinch the nose with a patented adjustable bridge so they will fit just about anyone. Made of a scratch-resistant and shatterproof injection-molded polymer material, these ready-to-wear non-prescription readers are designed to be feather-light and incredibly compact—designed to be carried in a wallet like a credit card. If you prefer to carry them they come with a hard polypropylene case and a soft vinyl pouch; or you can use the included piece of double-sided tape to attach them to your mobile devices, TV remote, or bedside table so you'll always have them where you need them. 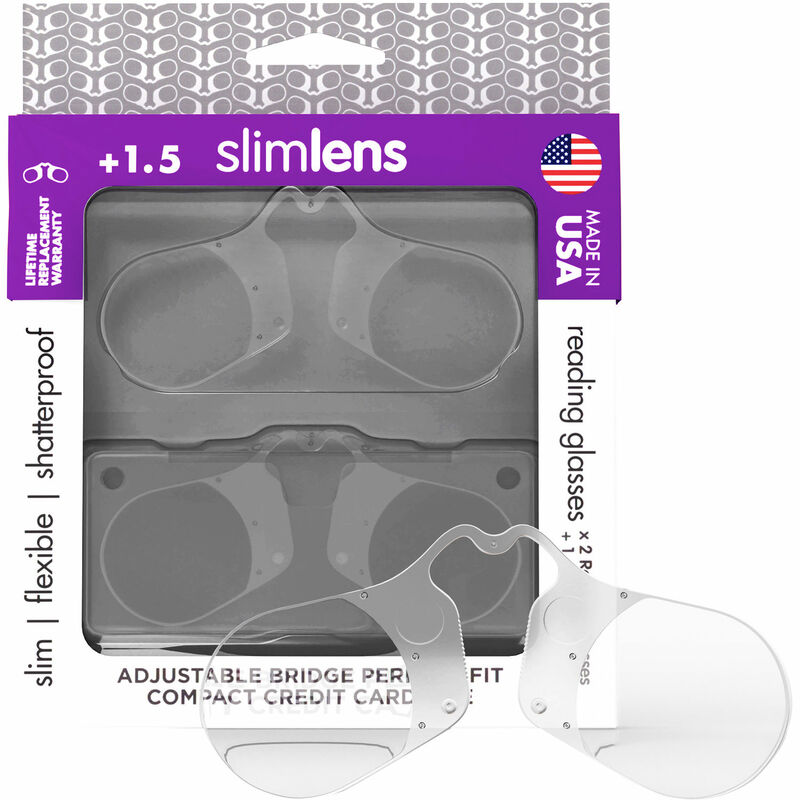 This version of the slimlens has a dioptric correction power of +1.5 and is made in the USA.